Due to the scale and anticipated duration of the flooding and recovery in Viola, many local residents have sought information on how to donate to those in need. For those wishing to donate food, any non-perishable food items can be dropped off at the Health and Human Services Front Desk in the Community Services Building in Richland Center on Friday, August 31 through Wednesday September 5th during normal business hours (Mon-Fri 8am-5pm). Those wishing to donate clothing can drop items off at either Good Will or the Richland Family Thrift Store. Those in need will be provided with a voucher to either place so they will be able to choose the size and style that suits them. For those donating, please follow normal donation rules at either location. For Richland Family Thrift Store, if people have large amounts to donate, it is requested that you go in and speak with a staff member. Otherwise, any small donations (one bag) can be left on the back porch. Richland Center, WI: Richland County Health & Human Services is advising the public of the potential Public Health hazards in relation to the area flooding. After flooding occurs, do not use water for drinking, brushing teeth, cooking, or making ice unless you are certain that it is safe. The DNR is recommending that if wells are submerged they should be disinfected prior to completing a well sample. Please contact the Public Health Department or check out our website for further information regarding the technique involved with disinfecting a well. The Public Health Department is recommending that all well samples be collected when they can be tested during the work week. By doing so, a property owner avoids having a sample being considered too old to test. This is particularly important due to the upcoming weekend and Labor Day holiday. Water test kits may be picked up at the Community Services Building Monday through Friday from 8am – 5pm. After a flood, mold will grow in your house and can make you sick. Items that were wet for 2 or more days should be taken outside, as they have mold growing on them even if you can’t see it. Hard surfaced items can be cleaned with soap and water and then sanitized with a bleach solution. Cloth items can be washed in hot water. Please contact the Public Health Department or check out our website for further information regarding the techniques involved with removing mold from household items. First aid, even for minor cuts and burns, is very important during flood clean-up. Immediately clean all open wounds and cuts with soap and clean water. Most cuts, except minor scratches, will require treatment to prevent tetanus. Talk to a doctor to find out what treatment you need. Avoid wading in water without proper foot protection. Broken glass, metal fragments, and other debris may be submerged in the flooded area. Wear proper eyewear, gloves, and other protective equipment when cleaning an area. If you are cut or punctured, contact your physician or local health department as soon as possible. Tetanus vaccinations may be necessary. We have tetanus vaccinations available at the Community Services Building. Elimination of artificial breeding sites such as tin cans, tires, and tree holes will help control the breeding of pest and disease carrying mosquitoes. Empty, remove, cover, or turn upside down any receptacle that could hold water. Properly discard unused tires and keep wanted tires inside or under cover. Also, make sure rain gutters and downspouts are clean and draining properly. Use repellant safely. Choose a product that meets your needs for the time you will be outdoors and the amount of mosquito activity, and use the repellant according to label directions. Spray repellant sparingly and only on exposed skin or on the top of clothing. Do not spray repellants in a confined space and do not apply repellants to children’s hands or allow them to apply repellants. Wash treated skin when protection is no longer needed. The most effective repellants contain DEET. Products containing 30% DEET are considered safe in routine control of ticks and mosquitoes in adults and children over two months of age. No adverse effects from DEET use have been reported in pregnant or lactating women. Richland County, WI: Richland County Emergency Management states areas of Richland County have been greatly affected recent storms with current impacts primarily being felt in the Viola from the Kickapoo River Shed and Yuba, and Hub City areas in the Pine River Shed, which will in turn affect those areas down river in the communities of Rockbridge, Richland Center and continuing south. There is a State of Emergency declared in the Village of Viola and Richland County. All those downriver of these floodways are encouraged to take the necessary precautions. Some residents in the most affected communities have been encouraged to evacuate ahead of the rising waters. This is a dangerous situation as water levels are rising very rapidly. Low lying roadways may be underwater. Public safety officials do not encourage people to travel in the impacted areas unless absolutely necessary. If you find yourself driving at night, please pay close attention to road conditions, as people often state they did not realize they were driving into water until it was too late and their vehicle was caught by the current. Just 12 inches will carry away a car. Please remember “Turn around; Don’t Drown”. MADISON, Wis. — Gov. Scott Walker has declared April 9-13 as Wisconsin’s Tornado and Severe Weather Awareness Week. Wisconsin Emergency Management, the National Weather Service (NWS) and the Wisconsin Broadcasters Association (WBA) have once again teamed up to sponsor the statewide tornado drills scheduled for Thursday, April 12. Schools, businesses, families, and individuals have two opportunities to test their emergency plans during the April 12 statewide tornado drills. The drills are part of the annual spring severe weather campaign to encourage everyone in Wisconsin to be ready for possible tornadoes and severe weather. According to the NWS, Wisconsin averages 23 tornadoes annually. Last year, there were 23 tornado touchdowns in the state. While most were either EF0 or EF1, the state did record an EF3 on May 16, 2017. The tornado followed an 83-mile path across Polk, Barron, Rusk, and Price counties, killing one person and causing widespread damage. The state also experienced an outbreak of 10 tornadoes on June 14, 2017, across Shawano, Winnebago, Outagamie, Brown, and Waushara counties. Richland County experienced 2 tornadoes in one day; August 18, 2005 an EF2 tornado struck the Village of Viola and an EF0 struck the unincorporated Village of Orion along the Wisconsin River in southern Richland County. A mock tornado watch will be issued April 12 at 1 p.m., followed by a statewide mock tornado warning at 1:45 p.m. 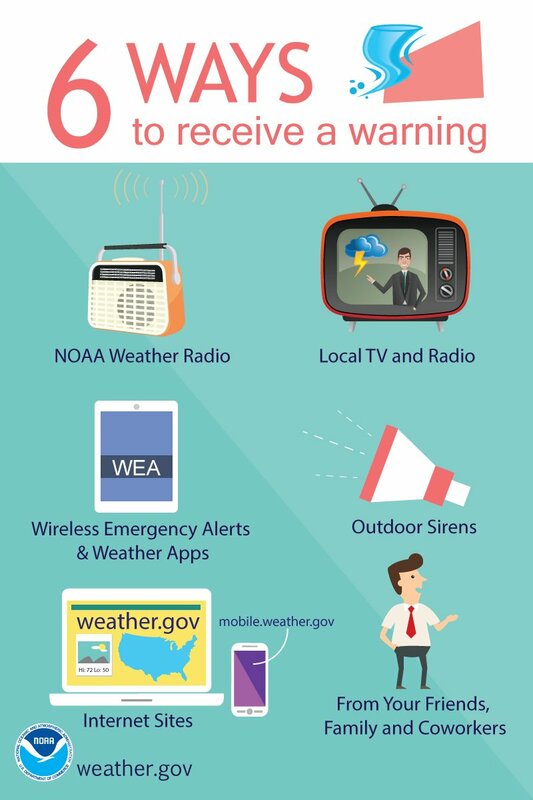 Many radio and TV stations across the state will issue the test tornado warnings. 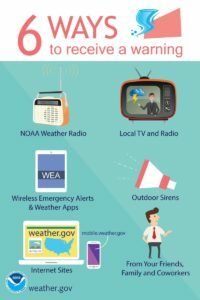 In addition, mock alerts will be issued on NOAA Weather Radios and many communities will sound their tornado sirens to test their emergency severe weather plans. Later, a mock tornado warning will be issued at 6:45 p.m. to give families and second-shift workers a chance to practice their emergency plans. The tornado drill will take place even if the sky is cloudy, dark or rainy. If actual severe storms are expected in the state on Thursday, April 12, the tornado drills will be postponed until Friday, April 13 with the same times. If severe storms are possible Friday, the drills will be cancelled. Any changes will be issued to local media as well as posted on the ReadyWisconsin website at http://readywisconsin.wi.gov. Updates will also be posted on Facebook (http://www.facebook.com/ReadyWisconsin www.facebook.com/ReadyWisconsin), Twitter (http://www.twitter.com/ReadyWisconsin www.twitter.com/ReadyWisconsin), and Instagram (http://www.instagram.com/ReadyWisconsin www.instagram.com/ReadyWisconsin). 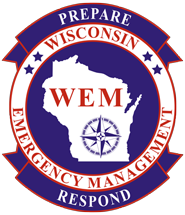 MADISON – Governor Scott Walker today announced a Federal Emergency Management Agency (FEMA) major disaster declaration for 11 counties impacted by flooding in western Wisconsin in July. The counties included in the declaration are Buffalo, Crawford, Grant, Iowa, Jackson, La Crosse, Lafayette, Monroe, Richland, Trempealeau and Vernon Counties. Severe storms moved across western Wisconsin from July 19-22, 2017. The heavy rains caused flash flooding and several rivers to rise to major flood stage. FEMA damage assessments showed more than $10 million in damage to public infrastructure in the region. The major disaster declaration is for Public Assistance, which covers eligible projects submitted by counties, cities, townships and certain private, not-for-profit organizations. The program is not for businesses or homeowners. Communities in the affected counties are now eligible for federal disaster assistance. They should contact their county emergency management director for further information. Under the program, FEMA provides 75 percent of eligible costs, while state and local agencies share the remaining 25 percent.